I swear by it. My #1 fav product! I am seriously considering creating my own brand selling my own Rosehip oil. It’s rich in Vitamin E and Omega 6 that help skin to renew and creates healthy glow. In addition, I heard it helps to heal scars. 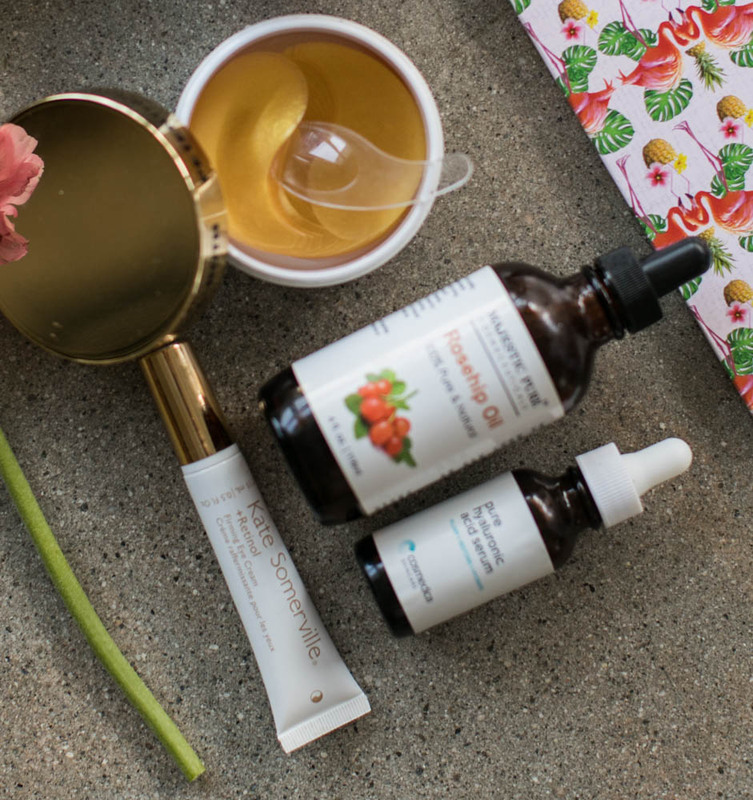 I use Rosehip oil on my face, hands and neck twice a day (before sleep and in the morning). 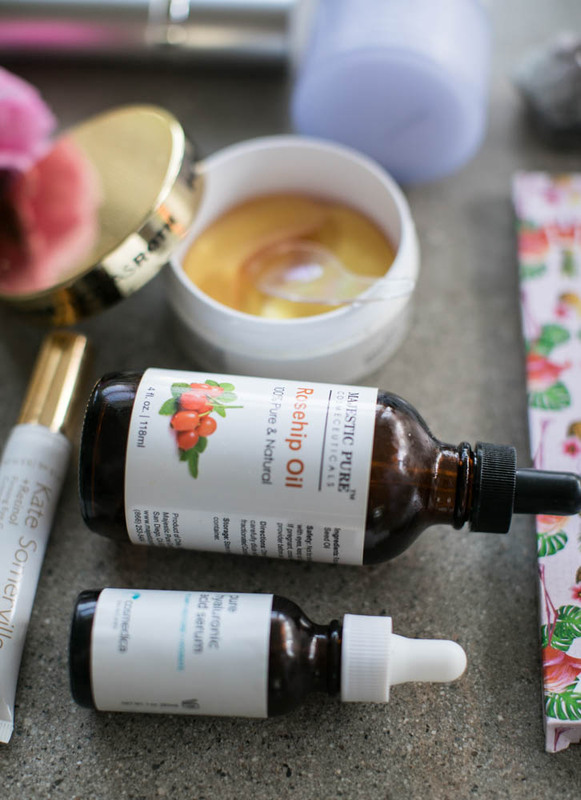 However, if I don’t have to go anywhere and not wearing make up the whole day, I keep putting a few drops of the oil on my face every 2 hrs and it helps to get rid off of any redness and even out the skin tone, (not sure if its the best idea if you have oily skin). 2. Kate Somerville Quench Hydrating Serum. I use it twice a day before putting moisturizer on my face and after using cleanser on my face when taking off any make up. The texture of the serum is so nice, leaves your skin feeling so silky. 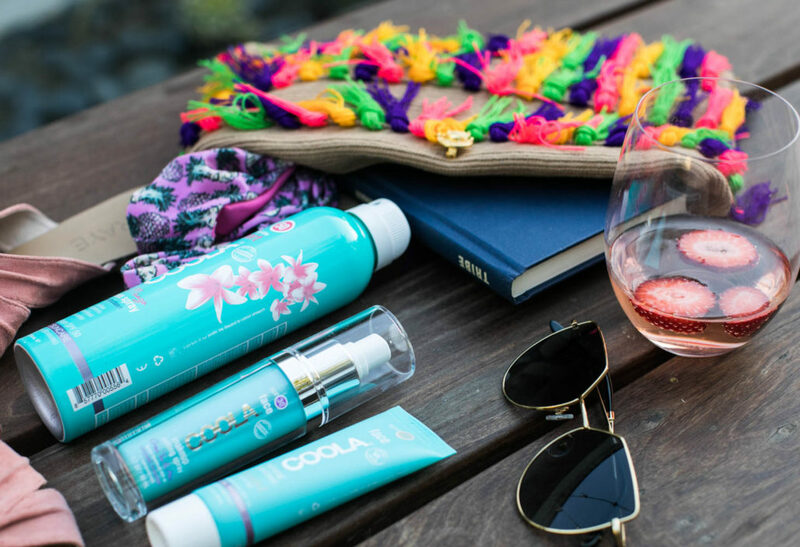 It’s hydrating and anti-aging. You are welcome. 3. 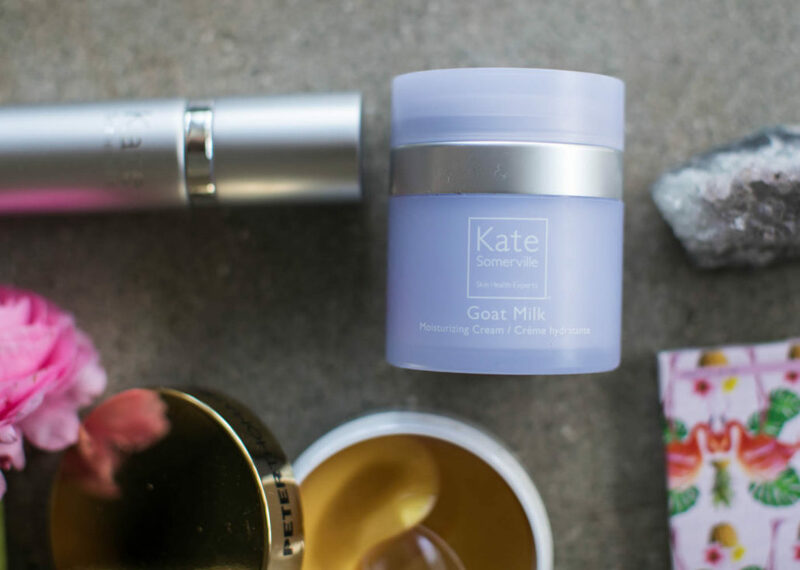 Kate Somerville Goat Milk Moisturizer. When i discovered Kate Somerville products I was sooooo excited! 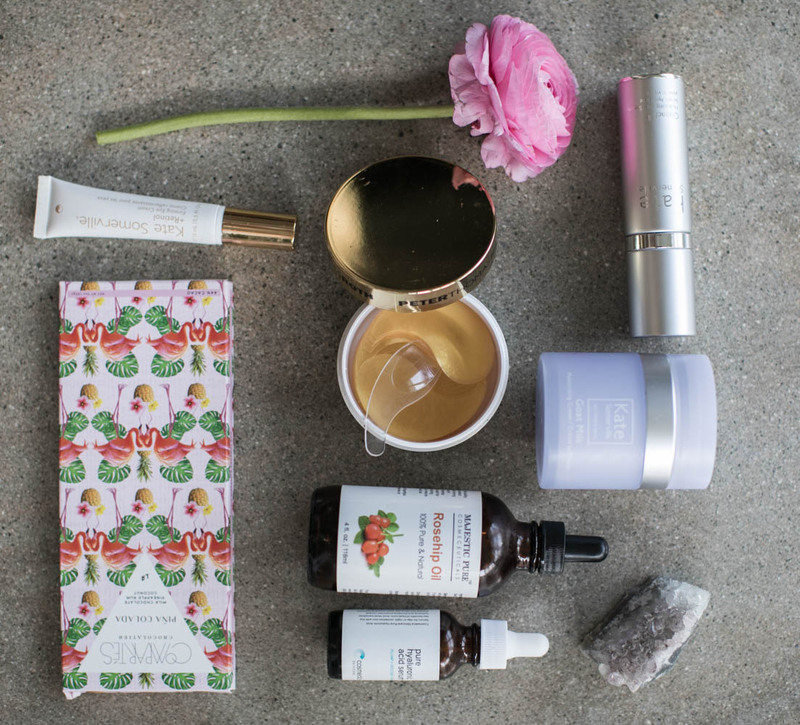 Lets be honest, we are constantly bombarded with new skincare and beauty products and its really hard to figure out what really works for your skin. Its also hard to justify spending money on a product that may or may not be a great fit! I really think this moisturizer is perfect for any skin type. For high quality product, the price point is really good too. I don’t use this product every day. Only when I wake up and my eyes are so puffy and need some love. Gold applicator feels cool on the skin. This eye cream hydrates, de-puffs and firms under eye skin. Contains Retinol. p.s. Tip: after using, wipe the applicator with a tissue and make sure its dry. Ok. Ok. This is another product that I wish I could have come up with myself. Seriously, a life savior after a long night or a flight. Gold eye masks help moisturize, de puff, hydrate and firm your skin. Whenever I travel, I always have this little thing with me. Its magical! Obviously, living in Sunny California I wear a lot of SPF. However, even if you live in a place where its gloomy, cold or rains a lot, don’t be fooled you are always exposed to damaging sun rays. 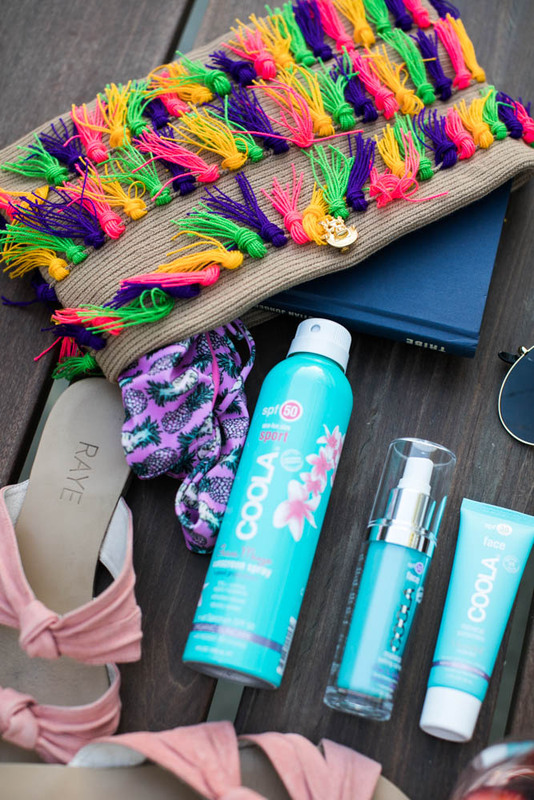 So, lets call it beach essentials as well as every day life essentials. I prefer spray sunscreen as i feel like its faster to apply. 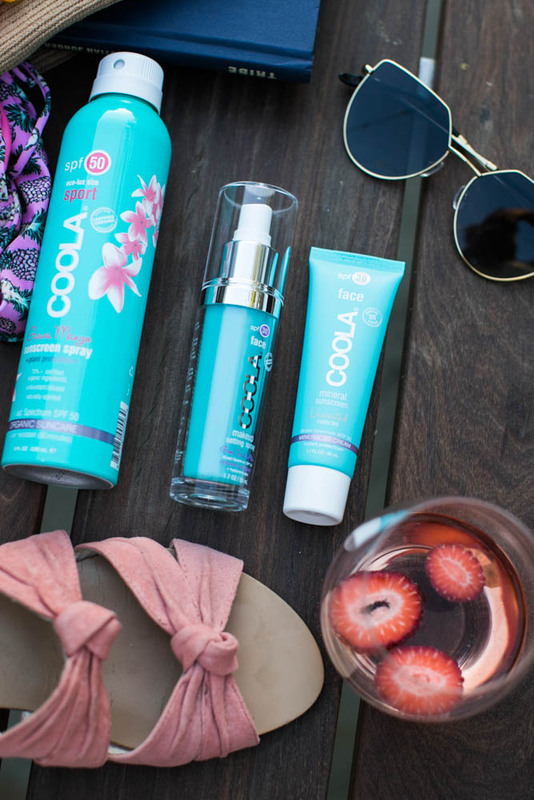 Sports 50SPF is perfect as its water and sweat resistant. This one i have is Guava & Mango, smells delicious! When it’s hot you definitely do not want to be wearing a ton of make up. 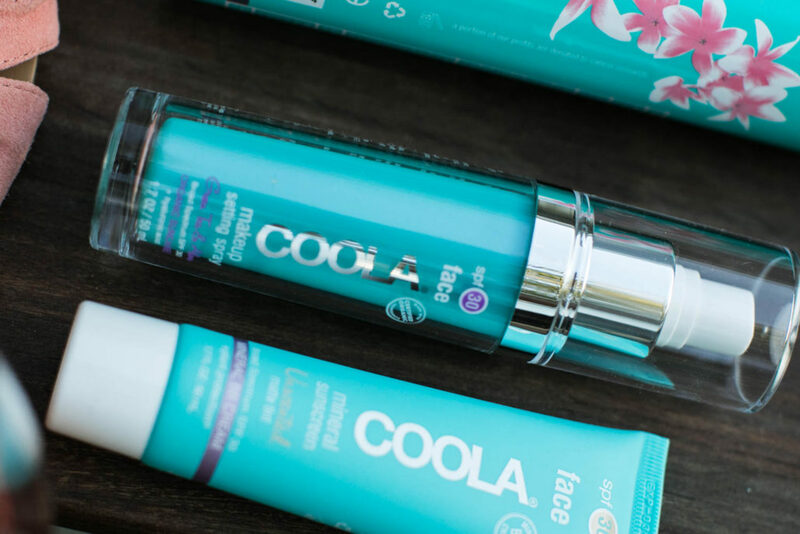 So, this SPF 30 for your face is perfect as it serves as 2 in 1. It got a slight matte tint (you get your coverage) and duh, protects your skin from the sun.